I am not even supposed to be here. Every single day that I have spent on Harvard’s campus I have believed these words. I was born in Chicago, Ill., but my family is from the Dominican Republic. Growing up at a disadvantage as a minority, and attending a low income and underachieving high school, Morton West, surely would make it more difficult to attend such a prestigious university. So what allowed for my journey to be different than the expectations already set within the community I grew up in? After all, it was the norm to dropout of high school or simply attend a community college. 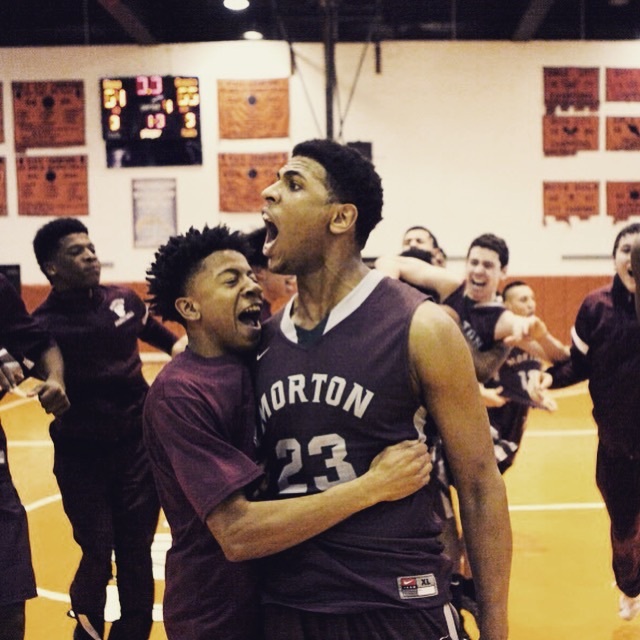 My family foundation had a great deal with my opportunity to attend Harvard, but one thing that aided me above all was the game of basketball. I remember as a child I played basketball for leisure simply because it was most accessible. My father made it a priority to live right across the street from the local YMCA to ensure that my two older brothers and I would stay out of the streets by going to the gym every day after school. Despite living so close to the YMCA, my parents would not let us go until we finished our homework, thus instilling the value of academics at such a young age. Eventually, my growth in basketball became noticeable that I attracted the attention of a few classmates who played on a travel team. My parents allowed me to join the team as they found it as another way to stay active and away from the wrong crowd. Quickly I began to fall for the feeling of the game, with the fast pace and energy that it entailed. By the time I reached 8th grade, there was a significant growth in my athleticism that begun to separate me from my teammates. In fact, I remember getting my first in-game dunk as an eighth grader and it made me realize that I wanted to play this game at the next level. After this occurred, I remember praying to God and asking for the chance to play at least NCAA Division III basketball with the goal of having my parents not pay for college. Little did I know what the path ahead would lead to. As I prepared for high school, my focus in life became solely focused on academics and basketball. In fact, I applied for and received the prestigious Daniel Murphy Scholarship, which gave me the opportunity to attend any private high school of my choosing with tuition paid for. The opportunity of a lifetime was given to me. I let the scholarship go. Instead, I chose to stay at the local public high school that my two older brothers were already attending, Morton West. The backlash from not accepting this prestigious scholarship was never-ending. I trusted my family, and more importantly, I wanted to challenge the status quo and prove that you can make it out of Morton West to a higher institution. My belief that the school did not define the student, but the student that defines what they make out of the school, stuck with me. In my second year in high school, I received my first scholarship offer to play basketball, from Hampton University. The following year I began to receive more attention, specifically from many high-achieving academic institutions. Eventually, I received a scholarship offer from every Ivy League school. But when Harvard offered, the feeling was just different. The first time I visited Harvard with my family I knew this would be the place I would attend. Furthermore, attending Harvard was a bigger decision than myself. This decision would impact my community above all, as kids would now believe that one can make it out of Berwyn and achieve something great. In fact, I knew the magnitude of this decision as I began to receive scrutiny from people. The day after I committed to Harvard, I woke up with graffitti over my garage. Although this bothered me, I would not let this deter me from my decision to attend Harvard. 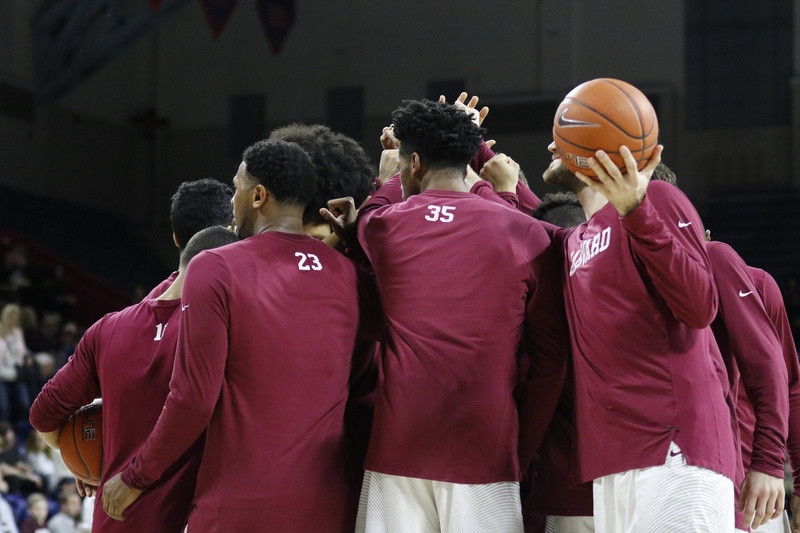 Not only was it the best institution in the world, but the basketball program with Coach Amaker at the helm was changing the perception of Ivy League Basketball. With multiple Ivy League Championships and NCAA tournament berths, I wanted to be a part of Amaker’s legacy here at Harvard. Now, fast forwarding to my senior year at Harvard, becoming a part of his legacy and creating my own is something that I can now cross off the list. Being a part of the Harvard Men’s Basketball program has been the honor of my life. Not only did I get to play basketball representing the best institution in the world, but I also got to experience memories that will last a lifetime. From traveling to Shanghai to play Stanford, participating in the Diamond Head Classic in Hawaii, touring Twitter HQ, meeting President Jimmy Carter, and others, playing for Harvard has taught me more about life than anything. As our season has now come to an end, I have now made preparations to step away from the game of basketball. My entire childhood has consisted of this game and sure it will be strange to not play basketball anymore, but I am not ashamed of how the journey turned out. I had the honor of putting a city on my back and showing them that it is possible to attend a place like Harvard, even while being at such a disadvantage. I found a family at Harvard and made memories that will last a lifetime. While yes, I have believed I am not supposed to be here, here I am. Living my dream and trying to inspire others to do the same. 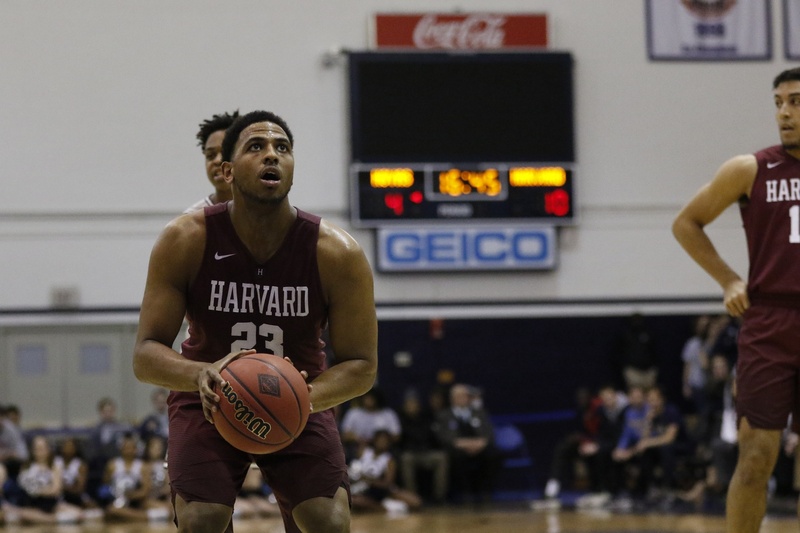 — Weisner Perez ‘19 is a Sociology concentrator in Quincy House, and served as co-captain for Harvard Men’s Basketball in 2018-2019. Following graduation, he will join UBS in New York City, working in the Wealth Management Division.